Because of the difficulty in gaining Washington’s approval for American crews to overfly the European Soviet Union, SAC approached the British government for assistance. The command had an urgent need for radar-scope images of potential targets in the USSR. General Nathan B. Twining, air force chief of staff, and General LeMay, then head of SAC, asked the Royal Air Force (RAF) to undertake the first deep-penetration flights over the Soviet Union. The RAF might have been flying some shallow-penetration flights over Soviet territory since at least late 1948, although publicly available evidence is limited. Using the wooden, twin-engine Mosquito PR.34, British pilots had reportedly overflown portions of the southern Soviet Union from airfields in Iraq, Crete, and perhaps elsewhere. In spring 1951, three RAF aircrews had been sent to the United States to train on the RB-45, returning to Sculthorpe later that year with four USAF RB-45C Tornados. With RAF markings applied to the planes, British crews prepared to fly night-penetration missions to obtain radar pictures of potential targets for SAC and British Bomber Command. The planes flew a trial mission over East Germany on the night of 21–22 March, 1952. The RAF duly obliged by forming the suitably anodyne ‘Special Duties Flight’ commanded by Squadron Leader John Crampton. The first RB-45C overflights of the Soviet Union were flown on the night of 17–18 April with three aircraft, their targets being Soviet long-range bomber bases and air defenses. The planes took off from Sculthorpe and were refueled over Denmark and West Germany by USAF KB-29 tankers. The RB-45C spyplanes then streaked eastward, entering Soviet airspace at three different points. They flew three different routes: the northern one overflying the Baltic states, the second flying as far east as Moscow, and the third heading southeast over the Ukraine. The flights took up to 10.5 hours, with the planes overflying. While over Soviet territory, they were tracked by radar and fighter intercepts were attempted, but without success. They were again refueled by KB-29s on their return flights. The final case justifying the mission was made in a summary paper of February 1952 and approved by Prime Minister Churchill. A gentle probe of the defences flying over the Soviet Zone of Germany for thirty minutes or so provoked no Russian reaction in March and the flight was ready for operations. The flights’ results were viewed as a considerable success and the ‘Special Duties Flight’ then dispersed, only to be briefly reactivated in the autumn of 1952. He questioned why the UK should undertake these highly risky flights when the USA was not prepared to do so itself. Ministerial colleagues accepted Eden’s objections and the US authorities were informed of their decision and the proposals quietly dropped. In approving the mission, [Prime Minister Winston] Churchill took a breathtaking political risk.… If any of the RB-45Cs had been brought down, the resulting outcry probably would have led to Churchill’s unseating as prime minister. But balanced against this was the need of Western intelligence to acquire radar-scope photographs of specific military installations. The British were developing their own high-altitude reconnaissance aircraft in the early 1950s. 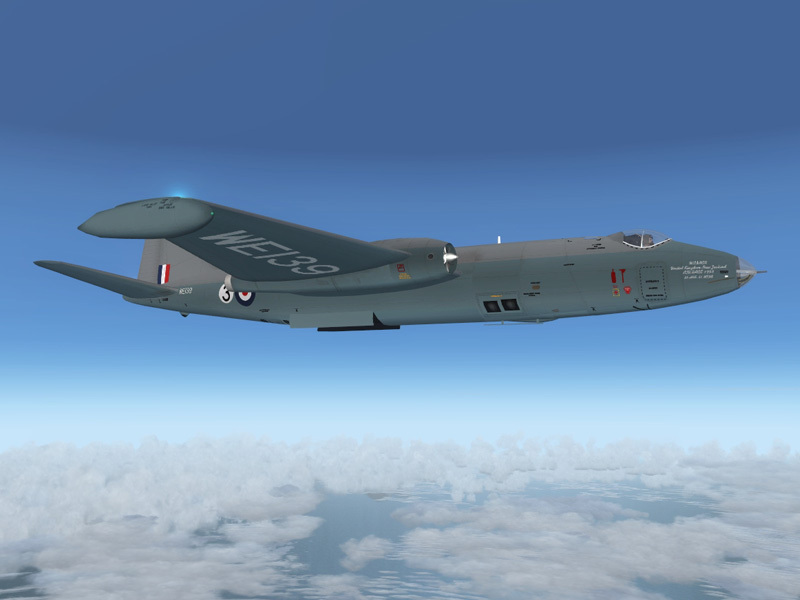 A remarkable aircraft, the English Electric Canberra twin-turbojet light bomber became operational in early 1951. The PR.3 photorecon variant entered squadron service in late 1952. The first target proposed to the RAF was the reported missile test facility at Kapustin Yar on the Volga River, near Stalingrad (now Volgograd). Although Prime Minister Churchill had briefly halted RAF RB-45C overflights, his concern about Soviet missile developments apparently led to approval of the mission. There is some disputed evidence that Canberra overflight missions took place in 1953. RAF Canberras reportedly flew two penetration missions over Kapustin Yar as part of Operation Robin. Details of these missions are still held secret by the British government, but at least one reportedly flew in August 1953. The daylight flights originated from Giebelstadt, West Germany—and they were tracked from takeoff by Soviet radar. Fighters made several attempts to intercept the first Canberra flight and the plane suffered some damage, but it was able to land safely in Iran. The photos, however, were blurred because of vibrations caused by the damage to the aircraft and were of little value. The Kapustin Yar RB-45C flight encountered heavy and accurate anti-aircraft fire as it streaked over the southern route at 36,000 feet (10,970 meters). The pilot decided to abort the mission short of its principal target but still obtained valuable photographs. As the lone RB-45C flew toward its home base, it rendezvoused with a USAF KB-29 tanker over West Germany. The planes were unable to connect properly, though, and the RB-45C landed at an airfield near Munich instead of returning to Sculthorpe. Years later, the CIA concluded that the operation had been compromised by Kim Philby, one of the major Soviet moles operating within the British government at the time. The ‘Special Duties Flight’ came together for a final mission on 28–29 April 1954. The Northern and Central routes were much the same as before but the Southern route over the Ukraine went even further eastwards. Crampton’s aircraft, on the latter route, encountered significant and prolonged anti-aircraft fire as it approached Kiev and night fighters were also launched to engage it. Operation Jiu-Jitsu established an important precedent, clearly demonstrating how closely the two nations could integrate their efforts when there were perceived mutual interests.